Touring battlefields. Listening to presentations about history field. Discussing books. Volunteering. Fundraising for preservation efforts. Sharing experiences. Building friendships. 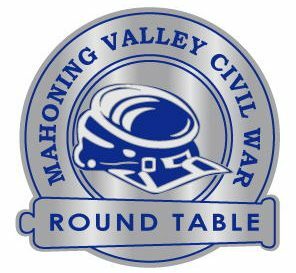 We warmly invite you to visit and join Mahoning Valley Civil War Round Table here in Ohio! We’re a friendly group with about one hundred fifty members, seeking to better understand the history and efforts of the American Civil War. Expecting only a handful of people, the organizers of the Mahoning Valley Civil War Round Table’s first meeting reserved the backroom of a Howard Johnson’s restaurant in Boardman, Ohio. To their amazement, between 65 and 70 people showed up. Sometime in the early 1980s, Hugh Earnhart of Poland, Ohio, a professor of History at Youngstown State University; Tom Kirker of New Castle, Pennsylvania, a graduate History student at YSU; and Byron Hartzell, who had recently returned to the Youngstown, Ohio, area from Texas; all had their own ideas about starting groups that would meet regularly to discuss the significant military and political events in American history from the period 1861–1865. At an informal get-together over pizza and beer, they decided that forming one club would encourage history buffs from all around the Mahoning Valley to join them. Seeing the success of that first round table meeting, where Hugh Earnhart spoke about Abraham Lincoln, they knew they needed a larger venue, so they moved to the student center at Youngstown State. After meeting monthly at YSU for the next two or three years, they out-grew that facility and marched back to Boardman, choosing the spacious Antone’s Banquet Centre. Finally, in early 2017, the group found its current home a few miles to the west at A La Cart Catering in Canfield. Through those years, the MVCWRT has enjoyed the company of many high-quality local, regional, and national speakers, including Ed Bearss, Chief Historian Emeritus with the National Park Service; former Executive Director of Pamplin Historical Park and the National Museum of the Civil War Soldier, A. Wilson Greene; and scores others. Ed and Will have since been named honorary members. The MVCWRT have also spent dozens of hours volunteering throughout the years on the Gettysburg battlefield, cleaning brush and debris from around several monuments as part of the Adopt-a-Position at Gettysburg National Military Park, as well as building trails at Cedar Creek & Belle Grove National Historical Park. For the past ten years we have donated raised funds to over twenty different historic sites and their mission of preservation and interpretation. “There are tracts of land that have a strong attachment to this war, and they should not be ridden over in a roughshod manner”–Hugh G. Earnhart. From his friends at the Mahoning Valley Civil War Round Table. Over its 34 year history, the MVCWRT has had three program directors: Hugh Earnhart, 1984–2004; Gordy Morgan, 2004-2018; and Gary Wholf, 2018-present. The Round Table currently has over 150 active members. New members are always welcome!